Book A Free Home Consultation Today! Choosing the right playground can be a daunting task. Lucky for you, we have a playground design expert ready to help you design the perfect playground for your space! 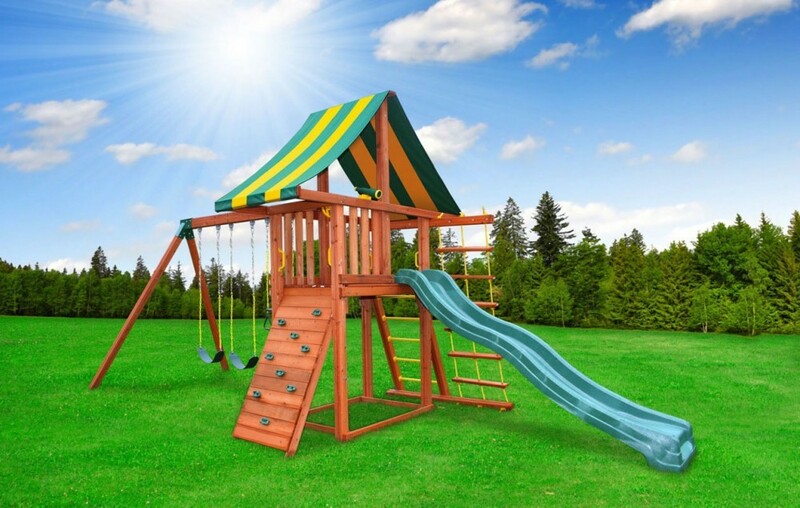 Welcome to Funscapes.ca, the home of Funscapes Backyard Entertainment Solutions, your all-in-one source for residential playground products and services with a focus on serving the Greater Toronto Area. At Funscapes we pride ourselves on creating residential play environments that inspire creativity and imagination, stimulate growth and development, and most importantly, provide years of safe family fun. We call these play environments Funscapes. We carry a variety of different sizes and options to fit your yard and help you make the most of your space! Our swing sets are made of the highest quality materials to provide your family with years of fun! We deal directly with the manufacturer to be able to provide the lowest prices on all of our swing sets. The guys got the house up and the kids are thrilled with it! It took some patience on the part of the crew of workers to get it done. Despite the difficulties, they and we are so happy with the end-product. I thank you for your patience and availability in all instances!